Find out all you need to know with our KiwiSaver guide. Wondering how to make KiwiSaver work for you? With our guide, we’ll help find the right option for your nest egg. KiwiSaver is a voluntary, work-based savings scheme aimed at helping New Zealanders save for retirement. You don't have to join. If you do, you'll have to put a proportion of your before-tax pay into a KiwiSaver savings scheme and leave it there until you turn 65. There are a few exceptions. To help you save, the government will contribute to your savings. With some exceptions, your employer also has to contribute. You may be able to use some of your KiwiSaver contributions to purchase your first home, and you may also be eligible for a $5000 or $10,000 deposit on your first home (see "What do first-home buyers need to know?" to find out more). If you join KiwiSaver, you can choose which KiwiSaver provider to save with and what type of scheme to invest in. 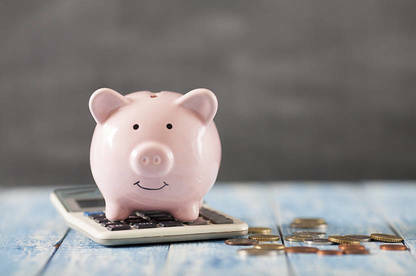 The major benefit of KiwiSaver is the “free money” – your employer must match your contribution dollar-for-dollar if you invest three percent of your pay cheque. You can increase your payments to 4%, 6%, 8% or 10% (6% and 10% have just been introduced under a law change). Some employers match your contributions, but aren’t obliged to pay more than the mandatory 3%. The other freebie is the government contribution. KiwiSavers receive $521.43 annually from the government if they put at least $1042.86 into their fund during that year. The downside is that your funds are locked away until your golden years. Disciplined budgeters could be better off contributing 3% to match their employer’s contribution – and at least $1043 a year to receive the government contribution – and putting the rest of their cash to work elsewhere. Any extra money can be used to pay off debt – first any high-interest loans, then business loans, mortgages and student loans – or put into another investment fund where your money’s more accessible in case you experience the proverbial “rainy day”. The self-employed are eligible for the $521 government contribution, but as you’re the one forking over any employer contribution, investing more than $1043 each year may not be worth it. However, if you regularly blow your entire pay cheque or raid your savings, choose the maximum rate you can afford. For a 25-year-old earning $50,000, selecting 8% ($77 a week) instead of 3% ($29 a week) adds an extra $211,000 to the pot by age 65. Figures calculated using sorted.org.nz calculators and tools, include interest and are adjusted for inflation. For all scenarios, salaries are paid weekly and the members do not make any withdrawals between joining and turning 65. How often should I review my provider? If you’re in a default scheme or the one your employer chose, review your provider (and fund) immediately. In 2018, 15% of KiwiSaver members were in a default scheme. Otherwise, re-evaluate your provider at least every three years. You can only belong to one scheme at a time. Start by looking at the fees charged by providers, which range from 0.35% to 2.76%. Higher-fee funds don’t always outperform lower-fee ones. Although a few percent might seem minimal, over the long term these fees eat away at your gains. Keep in mind some providers charge fees depending on the size of your balance. Be careful comparing returns between different providers. This reflects the past, rather than giving a glimpse of the future. Always compare net returns, which is the payout after fees and taxes are deducted. The Sorted website has a useful comparison tool. Some providers offer extra services, such as free “death by accident” top-up cover. Others let you invest lump sums or split your investment between different types of funds (for example, between a balanced and a growth fund). A 25-year-old self-employed KiwiSaver member wants to put an average of $80 a week (including the government contribution) aside for her retirement. She could choose a fund with lower (0.99%), moderate (1.49%) or higher (1.99%) management fees. Based on gross returns of 8.99% over 40 years, this decision could impact the total by tens of thousands of dollars. A fund delivering a 0.5% lower rate of return over the long-term would have a similar effect. Is my money in the right fund? Once you’re happy with your provider, your next decision is the appropriate fund type. Providers typically have several funds from which to choose. Some funds play it safe to protect your capital. They’ll keep most of your money in bank deposits or other relatively secure cash assets, but won’t grow very quickly. Other funds take more risks with the aim of increasing long-term growth. Review your fund type at least every three years, unless you’re in your 60s or planning to buy your first home, when you should reconsider this yearly. The arrival of your annual statement can be a useful prompt for any re-evaluation. Defensive funds are the most cautious type and may be a wise option if you’re planning to retire or use the first home withdrawal in the next few years – but don’t expect high growth. Conservative funds are another low-risk option. Usually about 10% to 35% of the fund is in higher-risk (growth) assets, such as shares and property. If you’re allocated to a default KiwiSaver provider, you’ll be enrolled in its conservative fund. Balanced funds are split more evenly between growth assets (35% to 63%) and lower-risk investments including bank deposits and fixed investments. This is a medium-risk option. You shouldn’t be intending to withdraw your investment within the next five to 12 years. Growth funds are for longer-term investors intending to leave their money in KiwiSaver for at least 10 years. Growth assets will make up 63% to 90% of the investment. This is a medium- to high-risk option. Aggressive funds are invested mainly in growth assets (more than 90%). They’re aiming for strong long-term growth, but there will be ups and downs along the way. This is the highest-risk option. There are “lifestage schemes” that automatically move you through different funds as you age. 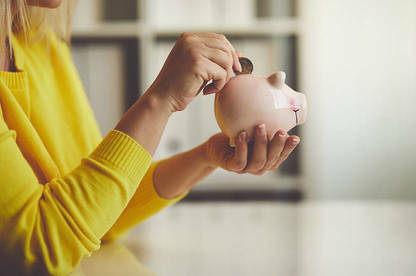 However, young KiwiSavers planning to make a first-home withdrawal might be better off in a conservative or defensive fund in case the market dives right when they need their savings. What information does my provider need to give me? By law, your provider must send you an annual personalised statement. It must have your current balance, your balance a year ago and fees, in dollar figures, paid to the fund manager. When this statement arrives, perform a “check-up” of your financial health to see if you’re still on track to meet your retirement savings goals. The KiwiSaver savings calculator at sorted.org.nz, which projects how much you’d have each week in retirement, will give you a rough guide. KiwiSaver providers must also publish a quarterly update of your fund’s performance, but don’t have to send it to investors. When you sign up, you’ll receive a product disclosure statement, outlining the provider’s fund types and fees. Beyond their legal requirements, KiwiSaver providers choose the level of information given to investors. Many have an online portal where members can log in to check their account. However, the detail and functionality differs between schemes. For example, some providers let you switch between different funds through their website, while others require you to complete a downloadable form. You can also track the payments collected from your pay cheque by Inland Revenue (IR) at kiwisaver.govt.nz. What do first-home buyers need to know? On your third anniversary of joining KiwiSaver, you can access your savings when you’re buying your first home, as long as you’ll live in the property. You’ll also need to leave at least $1000 in your account. KiwiSaver members must apply to their provider for this withdrawal before settlement. It can’t be done retroactively. If you’ve contributed the minimum rate for at least three years, you may be eligible for the HomeStart grant of between $3000 and $5000 for an existing home and between $6000 and $10,000 for a new-build. KiwiSaver members can combine HomeStart grants to buy a joint property. However, there’s a limit of $10,000 for an existing house and $20,000 for a new-build. Keep in mind there’s an income threshold – currently no more than $85,000 for a single person or $130,000 for a couple – and a house price cap (dependent on the property’s region) as well. Both the KiwiSaver withdrawal and the HomeStart grant (administered by Housing New Zealand) will be paid to your lawyer, so you’ll need to have engaged one to apply. It’s a good idea to get pre-approved for the HomeStart grant while you’re house hunting, as Housing New Zealand requires 20 working days to process an application. I’m under 65 but need to get hold of my funds. What can I do? If you leave New Zealand permanently, you can withdraw your savings a year after you leave (minus any government contribution). The exception is for those moving to Australia. However, you may be able to transfer your money into a complying Australian superannuation scheme. You can also withdraw some of your cash if you experience significant financial hardship. Be warned: the law is strict here. You must demonstrate you have no other resources, and any withdrawals will be limited to what’s needed to alleviate the hardship. The Banking Ombudsman says it’s a common misconception that you can withdraw all your funds if you meet the hardship criteria. If you’re diagnosed with a life-threatening illness or are injured and can no longer work, you can also apply to access all your savings early. If you die before you turn 65, your funds are paid to your estate. Otherwise, you’ll need a court order to access the funds – for example, if KiwiSaver assets are divided when you divorce. One thing you can’t do is “cancel” KiwiSaver. Once you’ve joined, you’re locked in, though you can take a contributions holiday or savings suspension. How much will a contributions holiday impact my savings? If you can’t afford to contribute anything, you can take a savings suspension – what used to be known as a “contributions holiday”. Savings suspensions now last a year max before you have to request another. You can remain on a savings suspension indefinitely if you choose. You can’t take a break in the first year of joining KiwiSaver unless you provide evidence of financial hardship to IR. Remember, if you don’t contribute, neither will your employer or the government. Even if you’ve taken a break, your fund manager won’t, and will still charge fees to invest your money, which could erode your balance. Suspending your savings – particularly when you’re younger – can knock tens of thousands off your potential nest egg. A savings suspension can have a major impact on your retirement savings. You’ll miss out on the savings themselves, and also years of accrued interest down the track. We calculated the balances of two people joining KiwiSaver at age 24 who both contribute 3% of their $50,000 salary. One takes a saving suspension from age 25 to 30. The loss of just over $15,000 savings at this point in their life reduces their nest egg by nearly $34,000 by age 65. Figures calculated using sorted.org.nz calculators and tools, include interest and are adjusted for inflation. For all scenarios, salaries are paid weekly and the members do not make any withdrawals between joining and turning 65. Aassumes investment returns of 4.75% after all management fees taken out. Originally, you had to contribute to KiwiSaver for at least five years to access your cash – so anyone joining on their 64th birthday had to wait until they turned 69. However, new legislation does away with this “lock-in” period. 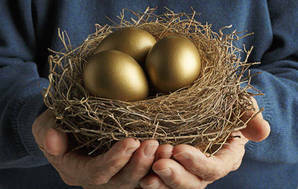 From April next year, anyone turning 65 will be able to withdraw their nest egg when they wish. If you’re one of the KiwiSavers who was subject to this lock-in before the law change, you may want to defer your first withdrawal. Your employer and the government have to keep contributing until your fifth anniversary – as long as you don’t “break the lock” by making a withdrawal. As part of these changes, over-65s will be able to join KiwiSaver for the first time from July. You can keep making payments after the age of 65 indefinitely. However, your employer may, and the government will, stop contributing. You can choose to take out all your money in one go or in instalments (either regularly or as you need them). Is it worth opening an account for my child? Most KiwiSaver benefits aren’t available until they’ve turned 18. Under that age, a child won’t receive the $521 annual contribution from the government. If they already have a job, they’ll have to wait until they’re 18 to receive the 3% contribution from their employer. It’s likely the first chance they’ll have to access your cash is when they buy their first home. Therefore, ask yourself if your money’s better off in a standard managed fund or savings account, where your child will be able to access it more easily, including when they’re studying. I have a complaint about my provider. What should I do? Initially, you need to attempt to sort your problem out with your provider. You’ll find details on how to make a complaint in your provider’s product disclosure statement. Insurance and Financial Services Ombudsman (ifso.nz). The Banking Ombudsman said it received more than 100 complaints about KiwiSaver providers in the 2017-18 year. These resolution services can ask your provider to compensate you if you’ve been left out of pocket. However, they can’t remove you from KiwiSaver. 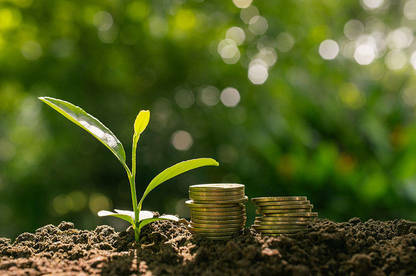 Any growth in your savings - through interest and dividends on investments - is taxed while it's in your KiwiSaver account. The tax will be deducted by your scheme provider - you won't have to do anything except make sure your provider is taxing you at the correct tax rate. Your provider will ask you once a year what the rate should be. So when you come to withdraw your savings at age 65, the payout will be tax free. The amount of tax you pay on investment returns will depend on what type of scheme you're in. If you're in what's called a widely held superannuation fund, your returns will be taxed at 28%. If you're in what's called a portfolio investment entity (often referred to as PIEs), your tax rate will depend on your income. It'll be 28% if your taxable income was above $48,000 or your income plus investment returns was above $70,000 in both of the previous two income years. If you earned below those levels, your investment will be taxed at 28%, 17.5% or 10.5% depending on the level of your income plus investment returns (see ird.govt.nz). That means the tax you pay on KiwiSaver returns is likely to be below your usual tax rate. It would be good to have an additional section - with advice on and after retirement. Do I draw out all my funds, can I continue to contribute, how to balance these options etc. Why are under 18yr old kiwi saver contributors not given the same tax credit? One area Consumer has not addressed here is the ethics of what Kiwisaver providers are investing their, or rather our, money into. A growing number of people are wanting to be sure that their savings are not being invested in unethical industries, whether that be arms manufacturing, nuclear power, fossil fuels, and would also want our money to be invested in positive social goods. However it is very difficult to find information on this. Even those Kiwisaver schemes that do provide some information (the best is the Anglican Church scheme Koinonia https://www.koinonia.org.nz/index.php/investment/ethical-stance/ and there is also Grosvenor http://www.grosvenorkiwisaver.co.nz/grosvenor-kiwisaver-scheme/investment-funds/balanced-funds/socially-responsible-investment-balanced.aspx) provide information on what they don't invest in, but very little about what they DO invest in. It would be good if Consumer could explore this further.